Looking for a Shopping Cart Platform and not sure which one to go for? Fear not because this Review will teach you everything there is to know about SendOwl Shopping Cart and whether it’s the right choice for your business. The EntrepreneursGateway.com Team have pulled out all stops to produce this Definitive Review. How will SendOwl stack up against the competition? Does the EntrepreneursGateway.com’s Award as being the best Shopping Cart Platform on the Market go to SendOwl? We’ve tested it to the MAX! SendOwl’s dashboard is fast loading, and extremely reliable. It also offers various selling options which enables you to sell both physical and digital products, services, subscriptions and product bundles quickly and easily. SendOwl’s pricing is really affordable and combined with the zero transaction fees, it really makes for a nice piece of shopping cart software. SendOwl is very easy to use and set up. From creating an account or your first product, adding buttons to your site, even setting up the payment – all can be done with a few simple clicks. 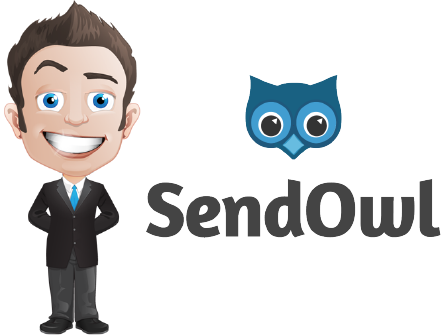 SendOwl offers detailed documentation together with email support. However, the lack of community and more instant communication channels could be a problem for some users. SendOwl was founded in 2010 by George Palmer and is a London based company. The cart was designed to fill a much-needed gap and was built from the ground upwards. The idea behind it was to design software that could allow anyone to deliver and sell digital products easily from via their website. In this review, we will look at the features and benefits that SendOwl offers, so that you have a better understanding of how it works and whether it is the perfect software for both you and your business. So, shall we get going and dive in? I will put SendOwl through our rigorous testing and will look at the following aspects. 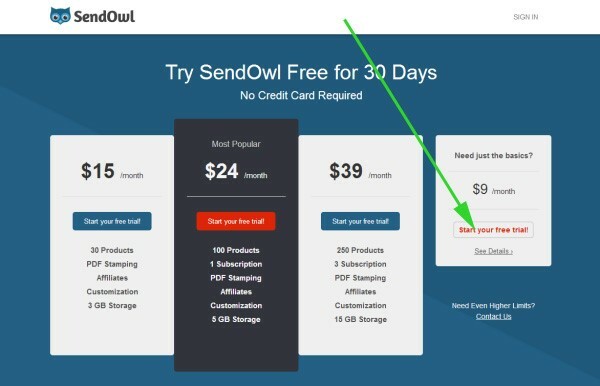 Performance: Will your conversions be boosted by using SendOwl and what features do they offer to help you make more money? Usability – Does SendOwl offer everything necessary that users expect from a shopping cart? Support: Does SendOwl offer quick customer support solutions and help, and can you count on them when it matters most? Cost – Does SendOwl offer the best pricing in the marketplace? AND more importantly, what deals are available that can help you save money? Flexible payment models including trials, subscriptions, and plans are supported. One-click upsells, and bumps are supported. The checkout design and customization are limited. Offers no emergency support, e.g., phone or live chat. 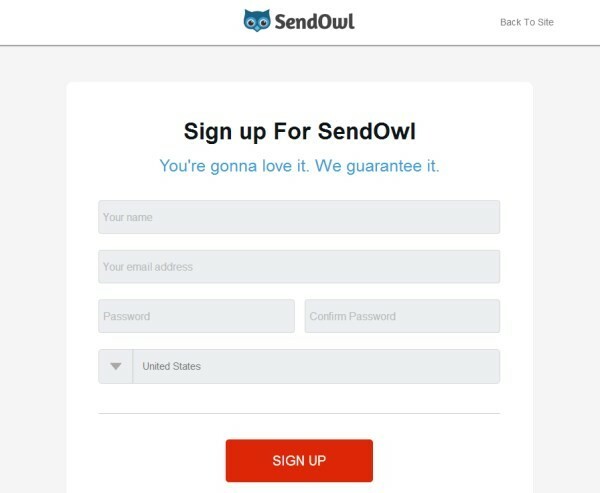 SendOwl is made up of a small, tech-obsessed team that is interested in blue owls. Sounds a bit random really, doesn’t it? 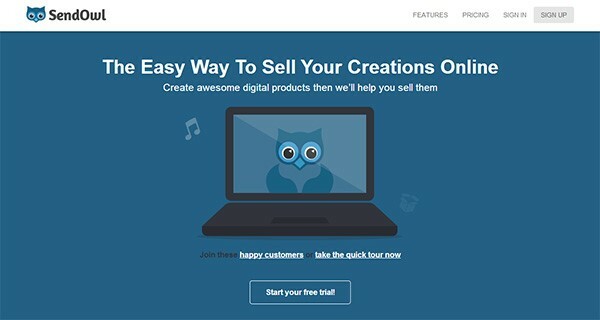 Well, the creator, George Palmer, realized that there was no reliable or easy way for selling digital products directly from websites, so he set about creating software that was easy to use, powerful and that offered EVERYONE superb customer service – and that is when the idea for SendOwl was hatched. It’s easy to sell products online using SendOwl as it provides you with a hosted shopping cart which deals with the protection, handling, and delivery of your products automatically. Physical products can be sold using SendOwl, but I’ve found that there are lots more features for digital ones. Another great thing is that because the checkout and shopping cart is hosted on the website of SendOwl, you don’t have the stress of protecting the sensitive information that your customers provide, like credit card numbers. 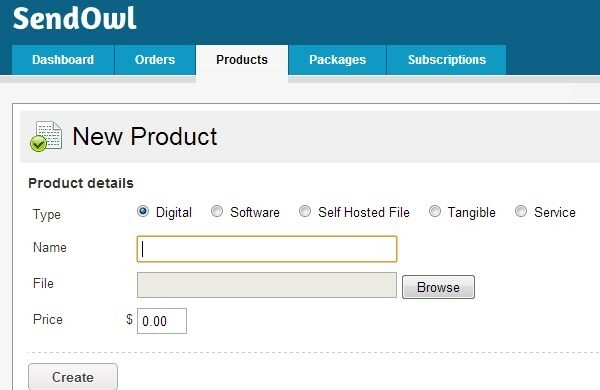 SendOwl deals with all the ‘boring’ stuff to help you sell your products, including providing a streamlined checkout together with secure delivery of products, integrating with your payment processor, plus it also provides the tools so that you can increase your revenue with features like mobile-optimized checkout and 1-click upsells. Well, it’s quite simple really, to begin with, you create your product using the SendOwl dashboard, you then allocate it a price then upload the file. A ‘buy now,’ and ‘add-to-cart’ button code will then be sent from SendOwl, which you then copy and paste into your site. This means that when visitors click on ‘buy,’ they then get directed through the checkout process via the secure server of SendOwl. This leads the customer onto a page where they can download their purchased product, plus, a receipt is emailed to them which displays a link to the download page. Who is SendOwl suitable for? Now, although SendOwl is a good option, obviously not all e-commerce solutions are the right ones for every situation or user. 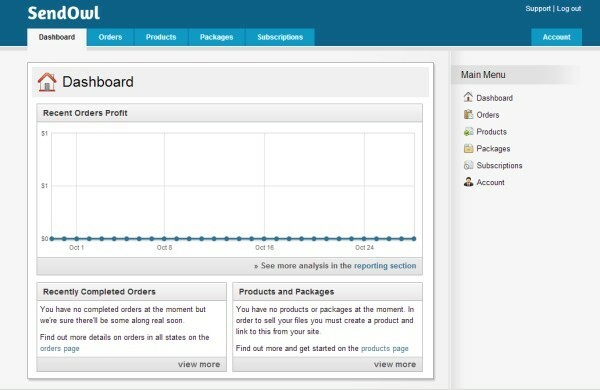 SendOwl is perfect for both bloggers and website owners who are looking to sell their goods easily and quickly. SendOwl is most suited to shops that sell a small number of products, rather than an e-commerce store that sells thousands, although it isn’t limited to this. 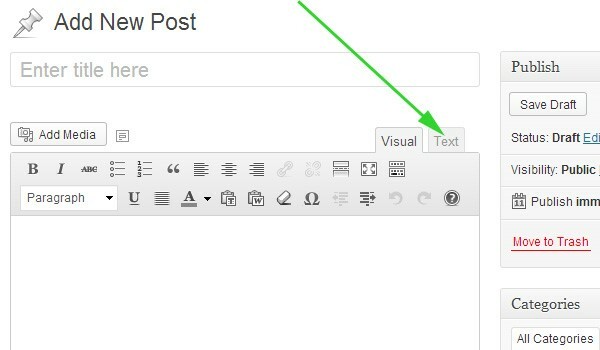 SendOwl can be used with content management systems such as WordPress; you just need to make sure that you can pass your button codes. It doesn’t include a content management system like some of the other e-commerce platforms such as Bigcommerce and Shopify. This simplicity is great for those who already have a WordPress site and don’t want to abandon it, just to begin selling products. What’s the use of having a high converting cart, if the transactions then go on to fail? Well, there is no point. This is why it is really important to have a fast and efficient payment gateway. In this section, you will learn about SendOwls’s payment integration gateways, how to set up a payment gateway and how to add a product. Are you ready? Good, then let’s get going!! SendOwl allows you to accept payments via Stripe, PayPal, Authorize.net, and BitPay. This is good, because if PayPal is not available in the country that your customer lives in or they just don’t wish to use it, then they are able to pay using their credit card which will then be processed by Stripe. 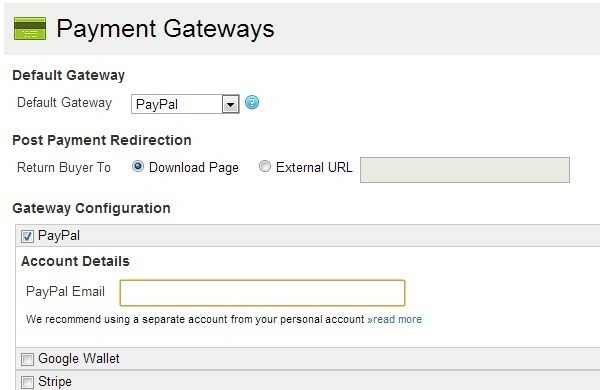 It is really easy to set up a payment gateway just paste either one or two items such as API keys from your gateway. And guess what? Setting up both Stripe and Paypal took less than 5 minutes!! How do I get started with SendOwl? This is where you will enter your personal details such as name, country, email address and password. Yay, your account will now have been created and you will be side SendOwl’s dashboard. So, as you probably already know, before you can sell anything, you will need to set up a payment gateway. The payment gateway options can be accessed at any time via the ‘account tab’ and the link ‘payment gateways.’ For those who are using PayPal, all you will need to do is click the box for PayPal, then punch in your email address for PayPal. From here you will be able to select the product type, name and price it and for digital products, the file can be uploaded. The next step is to select the button type that you want to create. For multiple products, it is recommended to select the ‘add to cart’ button’ which means that buyers will still be able to continue shopping and purchasing products if they wish. For one product, you will most likely want to use the button ‘instant buy,’ which bypasses the shopping cart process and directs them straight to the checkout. Tah dah, that’s it – it really is that simple, now your first product is ready to sell!! Naturally, there is a shed load more than you are able to customize by using SendOwl, such as tax calculations, customer emails and even the visual appearance of the shopping cart. Sometimes, potential customers aren’t sure if they really want to buy something – they get mixed feelings. It could be that they do want the product but aren’t entirely committed to spending the necessary money. If in this situation the seller has a poor checkout page or one that looks unprofessional, then no doubt the fate of this sale will be sealed. In this section, you will learn how to create a checkout from the beginning, and the concepts surrounding the SendOwl template system will be explained. So, without further ado, let’s, dive in and see how it all works, ok? 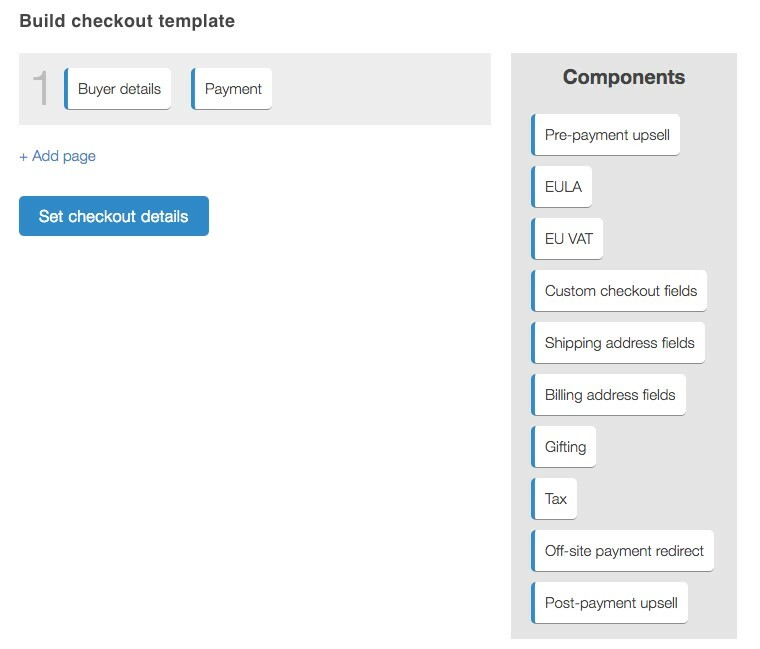 So, the first step regarding any new checkout is to create a template so that you can edit it. There are two choices; you can create a new checkout from scratch or copy an existing one. For those who aren’t ‘techies’ or if you are only making small changes, then I would advise using duplicating an existing one rather than creating a new one. This interface works by drag and drop and is where you can configure the checkouts flow. The good thing is that the checkout area of the SendOwl templates is extremely flexible which means that customizing designs isn’t too difficult. The checkout comprises of several pages (illustrated on the left side of the screenshot) together with a number of steps contained in it (which is illustrated on the right). These can be configured however you choose, for example, you might prefer lots of pages, but with a small checkout, alternatively, you may choose to combine everything into one page. Then just drag the steps onto the page configuration that you prefer. And finally, you aren’t restricted to this structure, just because you used it, to begin with. 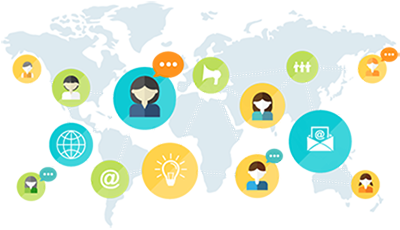 In today’s world, there are many ways in which you can communicate with your customers. Maybe you want to keep them up to date with your products via social media pages, email or even via a blog? What’s really convenient is having the capability to pre-sell to them via one platform, then directly send them to a high conversion check out page. In this section, I will outline SendOwls features to help you to increase your revenue. What are you waiting for? Let’s dive straight in and take a look, ok? So, how can I sell more? 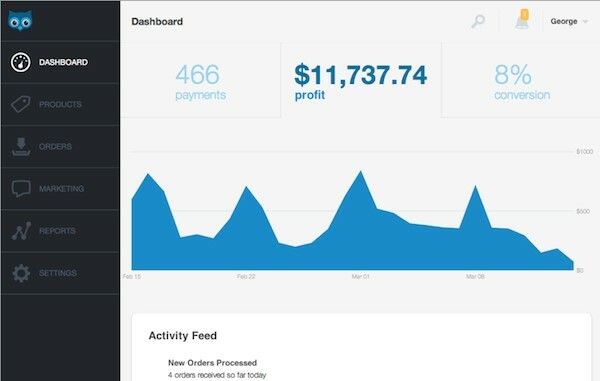 Well, apart from the conversion-optimized checkout module, SendOwl does offer a variety of sales and marketing tools to increase the amount of money that you could be making. 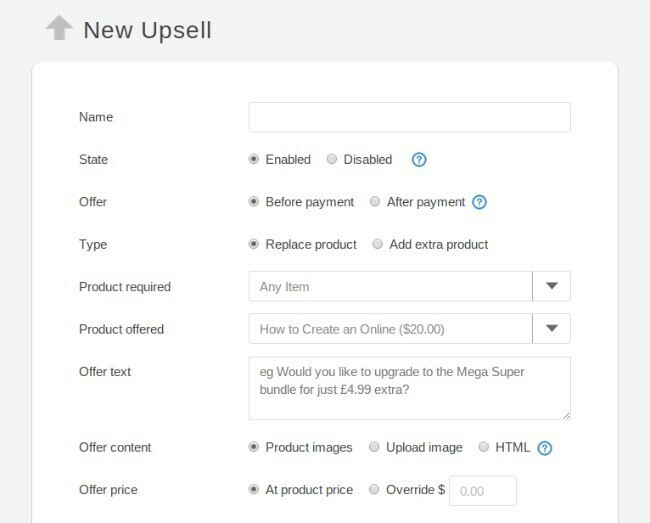 One of these features is ‘upsells.’ These can be attached to each product page together with features that deal with cart abandonment and help direct customers back to your website. 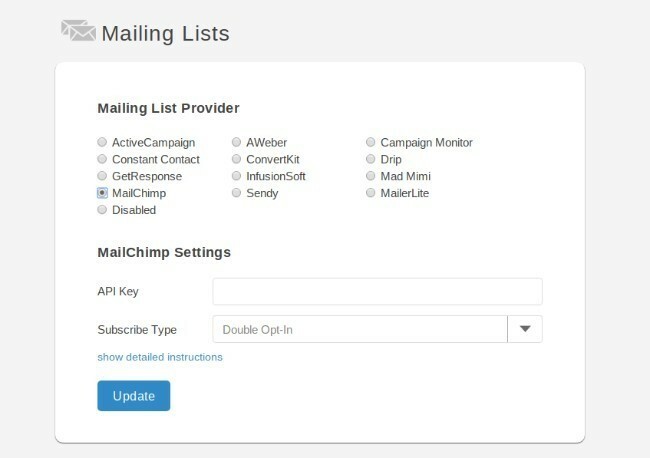 To keep your brand fresh in your customer’s minds, why not use the enhanced mailing list integrations? 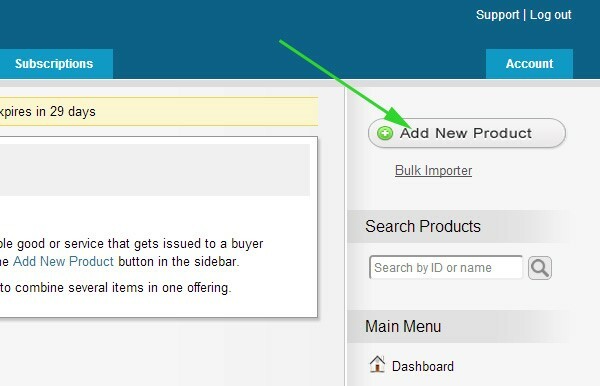 It’s also a good idea to keep an eye open for new features that allow you to select different checkout themes. 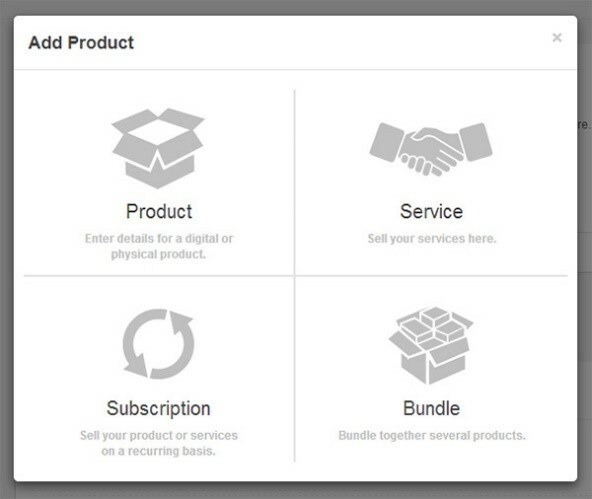 There are various different selling options available including selling physical or digital products/services, subscriptions and product bundles. The bundle functionality is fab and is really slick. It allows you select the exact products that you want to be included in your bundles, plus if the download page is customized, then a whole load of possibilities open up. Recurring billing is supported by the subscription option and allows you to control what your customer/members are able to download. Subscriptions can be set up to give customers the capability to download your digital products, products created after the first payment or product subsets. Subscriptions can also be used to oversee recurring billing for any services. 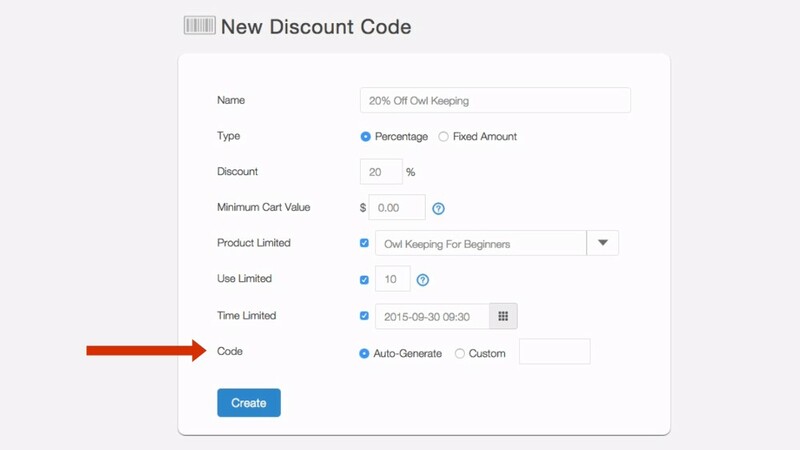 Fully trackable discount codes can easily be created, with full control redemption control based on spend amounts, specific products or time periods. Next, you will need to decide what percentage-based discount you want, e.g., a fixed one like $10 or a percentage based one like 10%. At this stage you, if you click ‘create’ then this will create a basic discount code which you can use immediately. 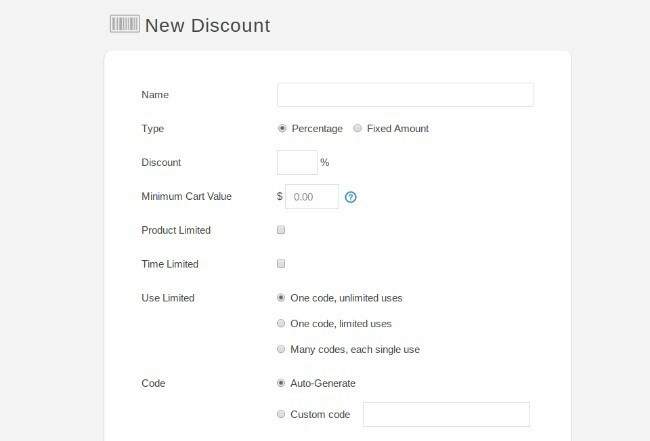 Nevertheless, let’s look at the available optional setting which can help with the configuration of the discount coupon to meet certain needs. 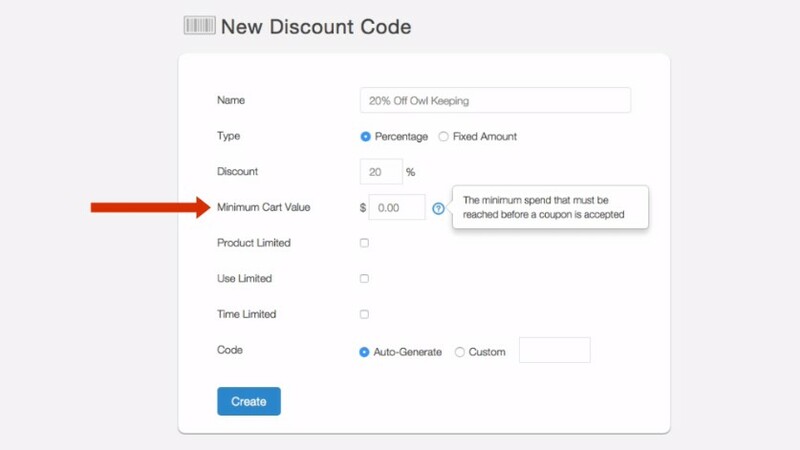 To ensure that the buyer meets the specific threshold before the discount applies you will need to set a minimum cart value. Setting a minimal cart value ensures the buyer meets a certain threshold before the discount can be applied. 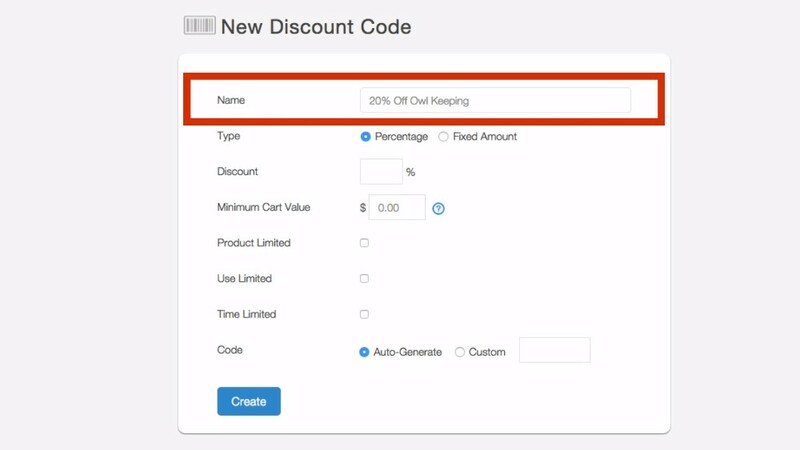 It is also possible to only apply discounts to specific products. 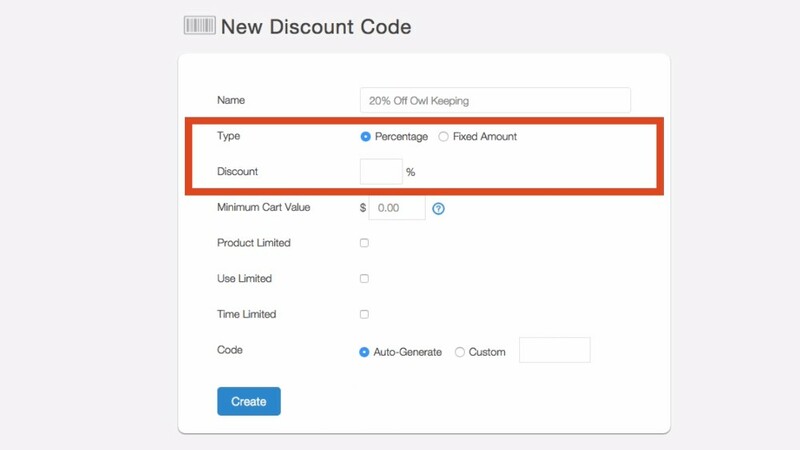 This means that the coupon will only apply when the specific product is placed in the cart, plus it only applies the discount to the single product and not the entire cart. 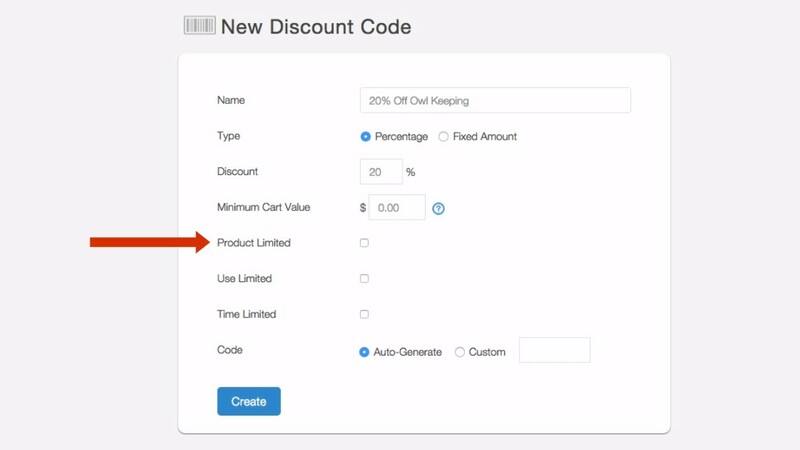 The following two options cover restricting the discount code usage. The first is by using a ‘use limited’ setting; this is whereby you are able to configure the discount code so that after a specified number of uses it becomes invalid. The second is to configure the ‘time-limited’ setting. With this, you can set a date whereby the coupon becomes invalid. This is useful for short-term offers or seasonal discounts. At last but not least, you can allow SendOwl to generate discount codes for you or alternatively you are able to create bespoke ones. 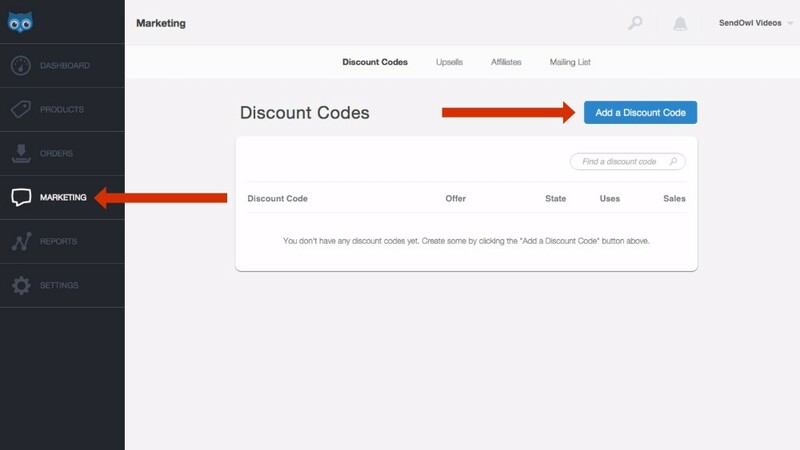 Once you are satisfied with your discount code, click ‘create’ and then it will be ready for use immediately. 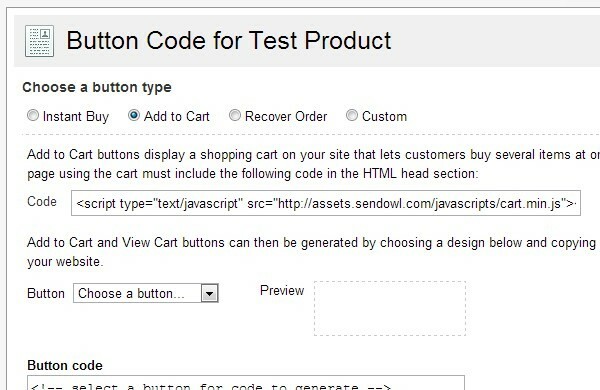 This means that when a purchaser lands checkout payment page, the option will display to add a code. I think that one of SendOwl’s most beneficial features is that of its inbuilt affiliate system. What this system does is, it enables you to manage and enroll people who are interested in selling your products in return for a commission. If you’re familiar with the ins and outs of affiliate marking, then you will understand the complexities of it, not to mention how much time it can take up. SendOwls affiliate system makes it a breeze for you to be able to offer this feature as well as enjoy the benefits of a sales force without the worry of incurring any fixed costs. Affiliates are able to sign up for your program, then grab their affiliate links, to add onto their site. SendOwl takes care of the tracking as well as provides reports for you to enable you to pay the affiliates. You control all the details such as commission, cookie lifetime, any pay delays (when affiliates will be paid for their referrals), together with your programmes terms and conditions. You also have the capability of enabling your affiliates to be able to implement ‘buy now’ buttons straight on to their site. SendOwl’s affiliate programme does lack, in my opinion, one important feature…which is the inability for affiliates to create custom affiliate links to any pages on your site (they can, of course, create links to specific products on pages that have been set up or to the homepage itself). 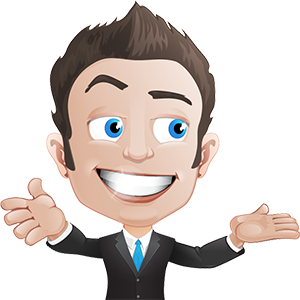 With programmes such as iDevAffiliate, affiliates are able to create affiliate custom links to any page, which means that blog posts can be shared via social media – using an affiliate link to it, so if a customer clicks on that link and purchases something, then the affiliate will receive the credit for the referral. These days, many entrepreneurs that I meet have fought hard and long to create stacks of technology that fits their needs. I’ve tested numerous tools across loads of sectors of online marketing and know how annoying it is to fall in love with a tool, then discover that it doesn’t reciprocate with your current stack. So, keeping that in mind, in this section, you will learn what custom integrations SendOwl offers together with a developer overview, to help you to decide if it is compatible with your stack. Let’s see how it checks out, ok? SendOwl does provide quite a variety of tools that can be used for developing customer integrations. So, to make things easier and for the purpose of this review, I have listed them all together with a brief outline of what they do. When orders have been created, they can then be tagged. If the order details are retrieved by using a WebHook/API/Signed URL, then it is possible to link in the completed order to the tag that began it. If you already have a purchaser’s email and name, they can be pre-populated in the checkout. After an order has been completed, it is possible to redirect a buyer to a URL, which contains other information by using the liquid templating system. For added security, the URL’s can be signed. Web Hooks can be used to notify you if an order has changed state. SendOwl’s API gives you access to orders, products, licenses, discount and loads more, all in standardized JSON and XML format. But when will I use these? By utilizing the order tagging, it creates the possibility to tag orders against an account/membership number. When an order has been completed, the details are then sent via the use of a webhook which then links the tag that was used to the SendOwl order than to the account inside the membership system. The order’s URL download can then be included in the buyer’s account page on the membership site. By using webhooks to receive new order notification, means that a custom backend system can be created that pulls all the order information and then makes it available for support, accounting, and other business software. So, in a nutshell, SendOwl integrates with other services to oversee anything else that you may require. To accept payments you can use Stripe, PayPal, BitPay or Authorize.net, you can send emails via ActiveCampaign, MailChimp, ConvertKit together with 8 other newsletter email apps and downloadable files can even be stored in Amazon S3; alternatively, customers can store their buys directly in Dropbox. 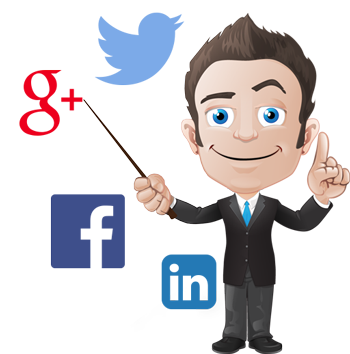 No doubt you will need to ship orders, possibly issue refunds and ensure that your sales are growing. This can all be done using SendOwl, as it lets you manage everything inside of its apps together with reports and customers lists regarding your sales. 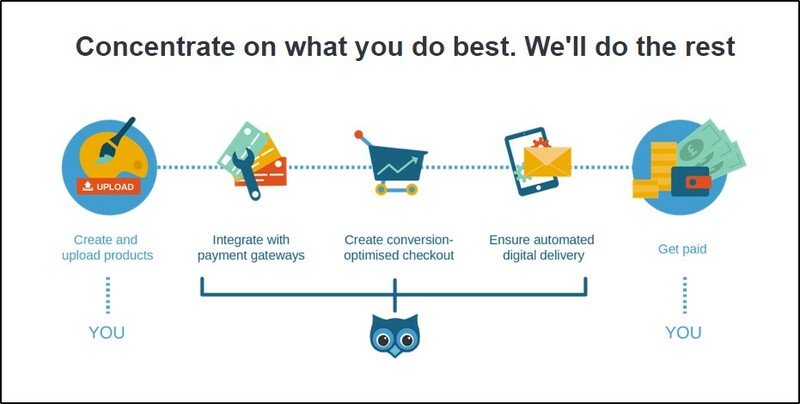 With SendOwls, fast checkout process, customers can purchase the products they want faster than ever. SendOwl gives you the ability to turn sites into stores and lets you focus on just the one site, instead of having the worry of optimizing both your store and blog – all by using simple checkout buttons wherever you want. Having access to great support can really make or break any business and is something that I consider to be really important when reviewing products. Imagine how frustrating it would be to select what you feel is the best shopping cart on the market, to then discover, when something goes wrong that help and support aren’t very forthcoming – not an experience that anyone really wants. So, how did SendOwl rate I the support department? Did it fly above the rest or is it still in the nest? (I know, my puns are getting worse!!). SendOwl has an extremely useful knowledge base which makes it really easy to find the answers to loads of questions, of course, there are always those that can only be answered by personalized support. SendOwl offers support via email, and the quality is pretty good. So, this was my situation; I was in the middle of moving an existing site which did include both e-commerce and membership over to SendOwl. I wanted to ensure that the move would be as smooth as possible for both me and my customers. I opted for the bundle option offered by SendOwl to replace the membership one that I currently had. I must admit I was slightly apprehensive as I didn’t want any negative impacts on either my customers or existing members. Well, after the move had been completed, lots of my customers actually took the time to email me to say how they loved the changes. Now, the point is that because I had quite a lot to deal with – trying to copy the setup that I already had over to SendOwl, I had LOADS of questions, and I mean LOADS. I can’t begin to tell you how many emails I must have sent to send owls support and guess what? Many were sent even BEFORE I was a paying customer!! The support I received from SendOwl was pretty darn good. Every time I have used them, their response is quick and efficient. They have the patience of a saint and helped me to set up everything exactly how I wanted it. One thing to keep in mind though is that they are UK based, so for those that are located in the US, no doubt your business hours won’t match up to theirs. Well, that’s it. I’m now nearing towards the end of this review, and I hope that it has given you an overall idea what SendOwl has to offer. I’m guessing that the final and most important question is – Is it THE ONE, I mean is for YOU and your WEBSITE? 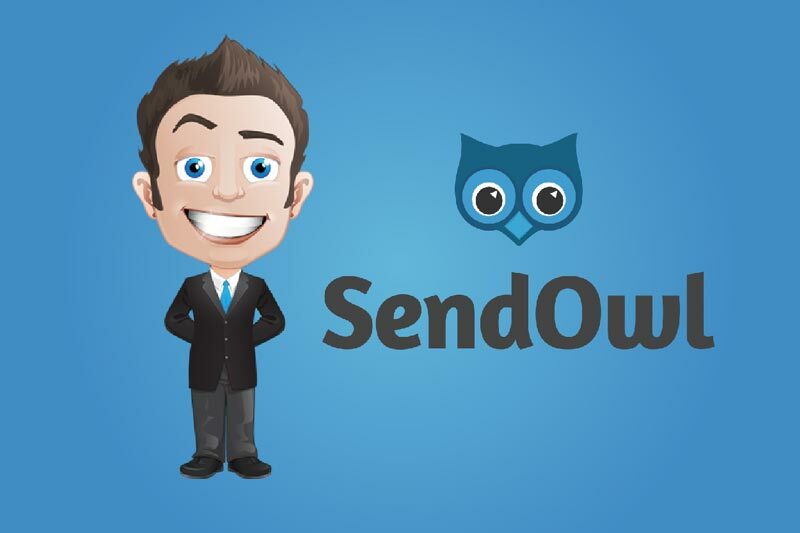 SendOwl really does offer an awesome service, it is easy to use and offers high-quality customer service. SendOwl is perfect for those who are selling digital products, however, for those selling physical ones, I would suggest using a traditional e-commerce platform. Due to its growth within the marketing area, it is shopping cart software that should most definitely not be overlooked. The pricing is very reasonable, and SendOwl even includes a 30-day free trial, so you can absolutely certain that it is the one for you. Have you tried SendOwl, or are you thinking of giving it a go, if so, why not shoot me a message in the comments section below?